In the studio: Show prep is definitely going full blast ! 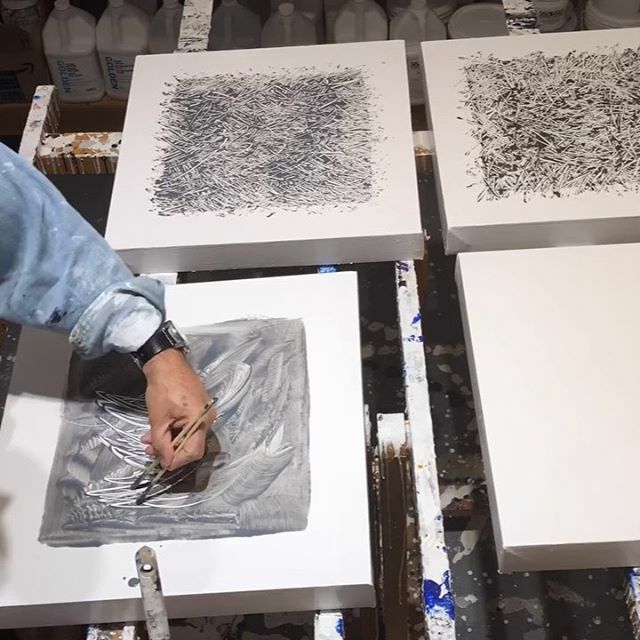 Timelapse of prep and gestural undercoats for four panel painting. A couple more coats of white wash then some texture is next on the agenda. Large, medium and small pieces all going simultaneously – next up is @marinopenstudios then off to Santa Fe for @artsantafe Also a wine label in the mix for @imagerywinery Thanks for the follows and comments on Instagram. .